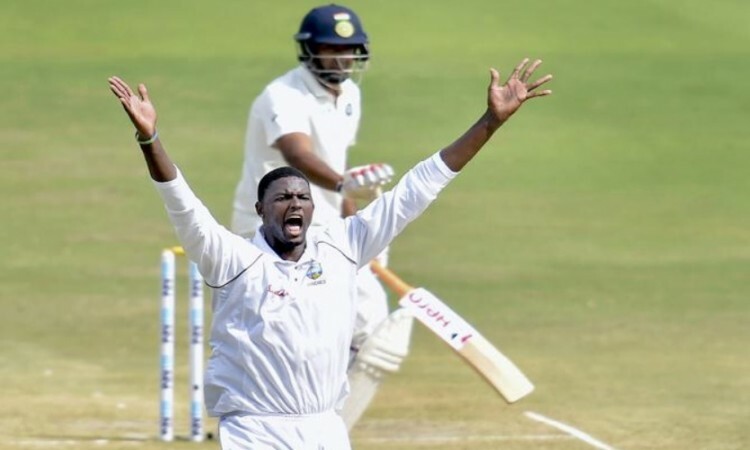 Hyderabad, Oct 14 (CRICKETNMORE): West Indies captain Jason Holder on Sunday said the manner of defeats in India hurt the team considering the fact that the pitches were batsman-friendly. "Honestly, it's hard to take it. I am trying to understand the reasons why it is happening," said Holder. "It's a case where we all need to put our heads together -- the management, the selectors and the players. The onus must be on the players and we must be responsible for our actions," he added. West Indies lost the first Test by an innings and 272 runs and the next by 10 wickets on Sunday. "We got to come together a little bit more and find ways and solutions to deal with the problems that we have at the moment," Holder opined. Holder picked out Roston Chase and Sherman Lewis' performance as the only positives. "It's a tough series and we didn't play our best cricket. We look back in the last two years and we have some good results. India is No.1 team in the world and we expected to be pushed by them. They're quality cricket side, especially in their own backyard. We all saw some positive performances from Roston Chase. I thought Sherman was awesome," expressed the West Indies skipper. Holder conceded that their batting is an issue and that the team has heavily relied on middle and lower order. "You can look and honestly say we didn't put enough runs on the board. Quite for some time now, we've been relatively inconsistent and that has really let us down in the recent past. We haven't been getting the runs we've been looking for. "We have heavily relied on middle and lower half which is not ideal. So we need to rectify at the top. The guys in the top five have to put hands up and come to the party," he added.